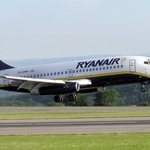 Ryanair offers wedding gift to customers to share the love this Valentine’s Day and win a €20,000 wedding by sharing their Ryanair love stories. The ‘Love Ryanair’ Valentine’s Day competition, is asking couples who found love with Ryanair to tell their story in no more than 200 words and win a €20,000 prize of a dream wedding, as well as the chance to make a surprise proposal on-board a Ryanair flight. Customers can enter via the href=”http://www.ryanair.com/en/loveryanair” target=”_blank”>‘Love Ryanair’ entry form on the Ryanair.com website and the closing date for entries is Wednesday, 22 January. “We’re asking customers to share their Ryanair love stories. Did you meet your partner on a Ryanair flight? 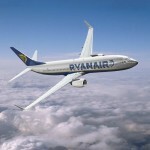 Did Ryanair help you fall in love?